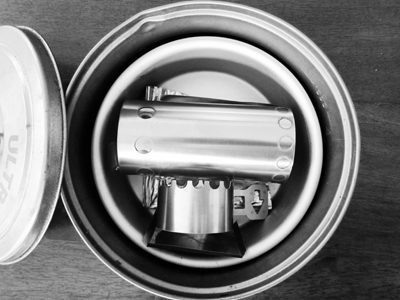 The Stainless Steel Version – 78 grams / 2.8 oz. 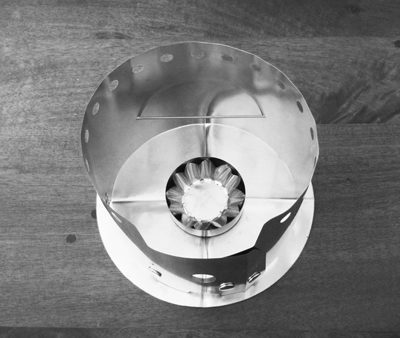 The Titanium Version – 61 grams / 2.2 oz. 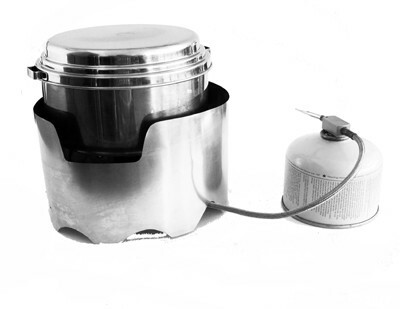 The Bobcat Kovea Cooking System is specifically designed for those who prefer to use canister fuel. The Bobcat Kovea Windscreen is identical to our regular Bobcat windscreen with the following additions; we have built in a access port for remote fuel lines and the windscreen coils up to a tighter diameter for storage. 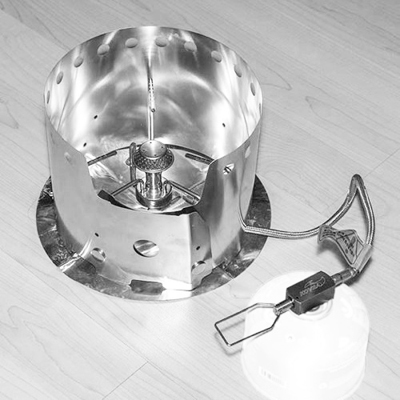 If fire restrictions prohibit using alcohol or fuel tablets, the Kovea stove is the perfect solution. Bobcat Kovea. Boil, Simmer, Sauté, Pan fry, Steam Bake, Dry Bake, you can do it all!